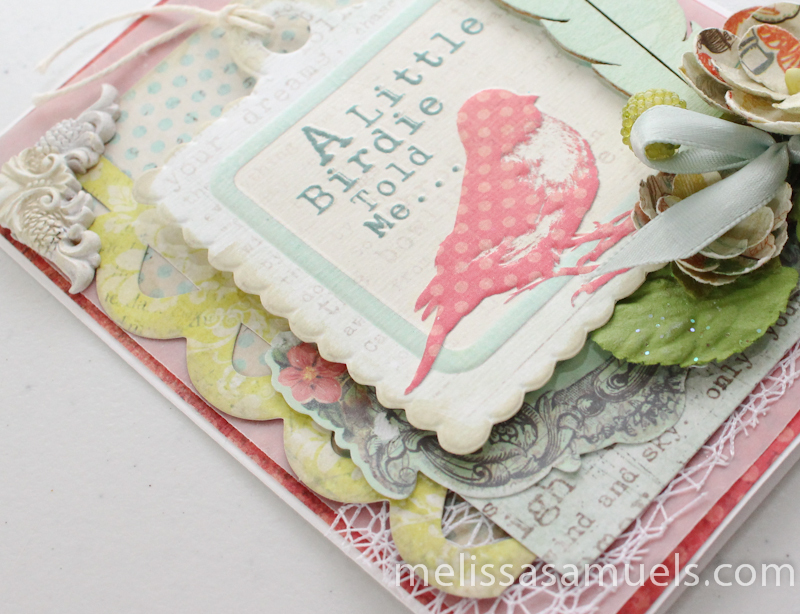 Week of Cards Day 2 – A Little Birdie Told Me… | Melissa Samuels - "The Art of Scrapbooking"
Hi Guys! I am back for our second day of a week of cards. 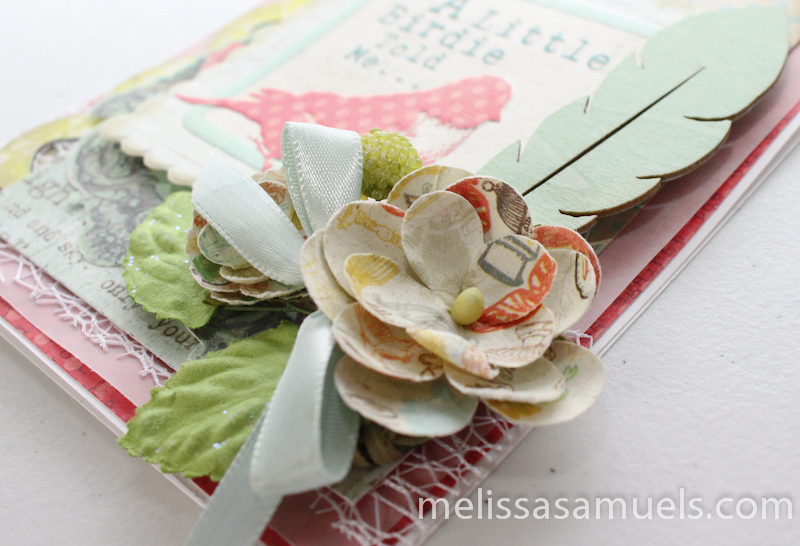 With this card I wanted to challenge myself by using things that I have around the studio, but are not my “go to” or “usual favorites.” I have had the Prima vine flower I used on this card forever, because I like the colors, but I find it difficult to use pattern printed flowers. If put with the wrong papers it can look a little too busy for my taste, but I think I pulled it off. 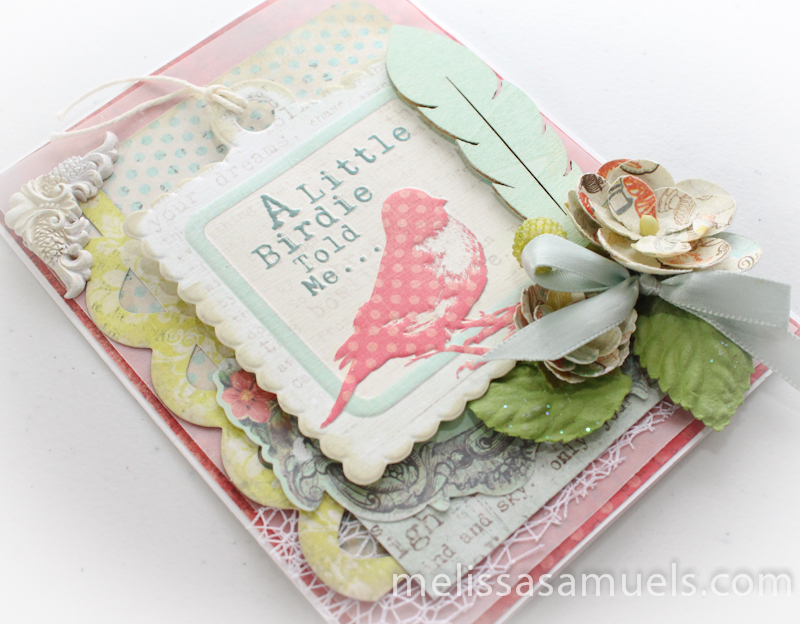 I used papers and the “A Little Birdie Told Me…” embossed tag from the We R Memory Keepers collection Anthologie. I used vellum to layer over the first red background paper. 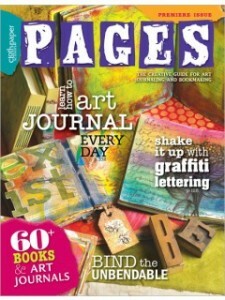 The fiber ribbon, resin corner, wooden icon feather (which I chalk inked), and floral tag under the title tag are all Prima. 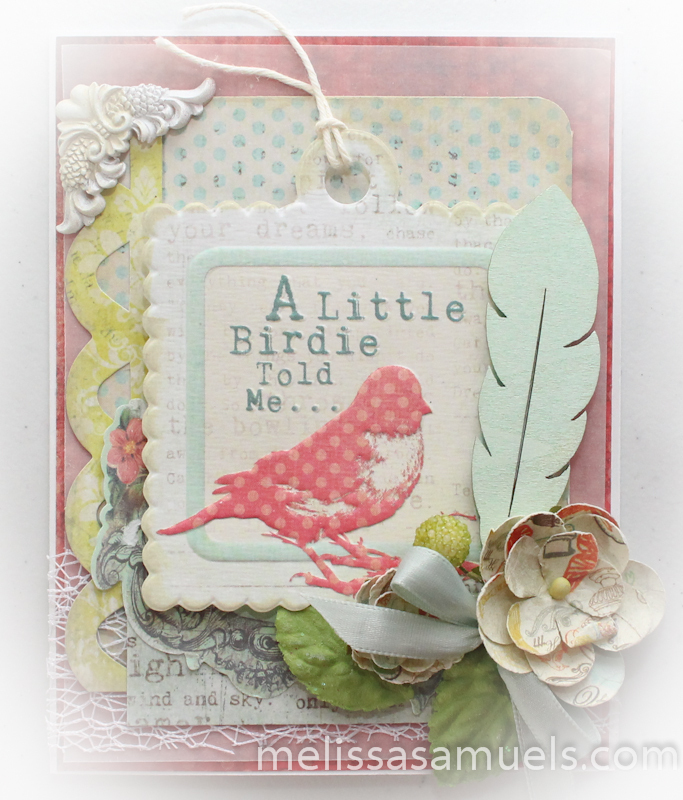 I think this card is a little different than my usual work, but I like it! It felt good to challenge myself to do something new. And, I used up some great product that has just been sitting in in the studio feeling neglected. I hope you feel inspired to go through your stash, and find a use for some of those treasures. 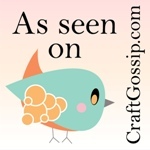 Happy cardmaking!!! Beautiful! So much to look at and feel. I have a blind friend who would love this card. Thanks for sharing your artistic talent with us. You did it again.. I love, love, love this card.